Use these cream enamelled acrylic chain links to make delicate yet statement jewellery. 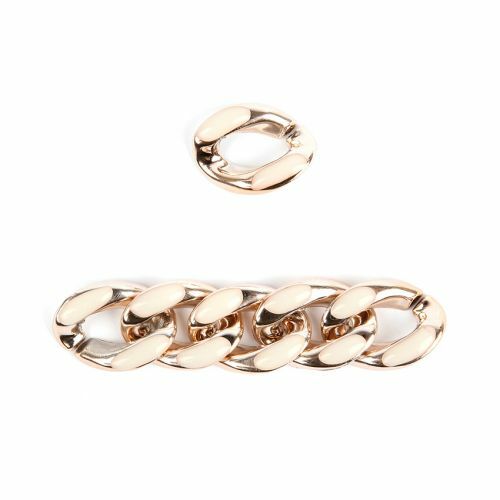 Join the links together using the small opening to create a statement centre piece for a necklace – or why not keep them separate and feature one at the centre of your next bracelet design? Each link is lightweight and has a light cream coloured enamelling at the top and bottom. CommentAgain, ideal for my project.